There will be changes to bus routes in Maunula from 15 August. 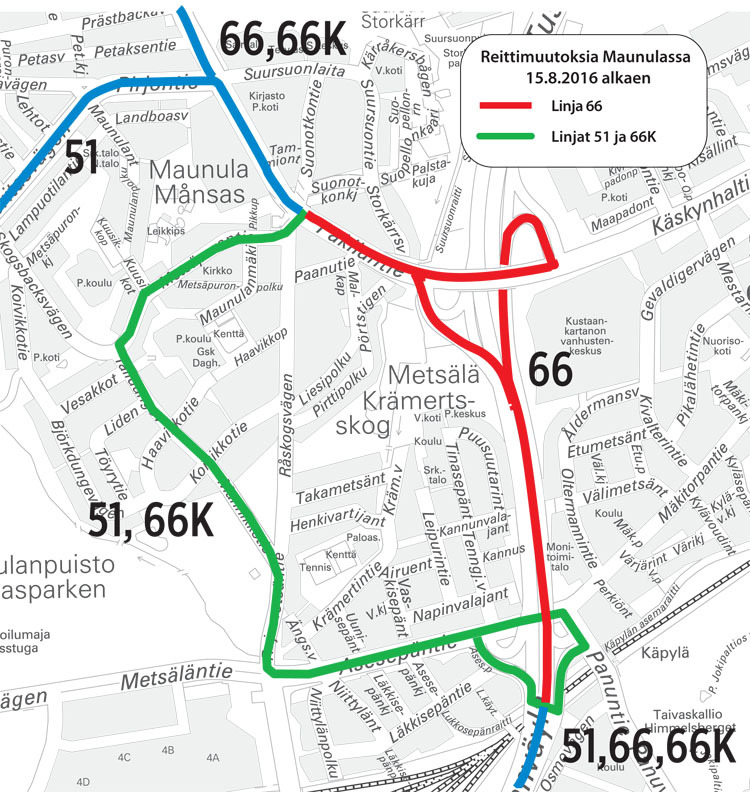 Routes 62 and 51 will be merged into route 51 (Hakaniemi–Malminkartano), which will run via Metsälä and Vanha Maunula. Route 62 will be withdrawn. In the late evening and on Sundays, when route 51 is not running, route 66K (Rautatientori–Paloheinä) runs along the route of bus 51. Route 66A, which runs through Maunula, will become route 66 (Rautatientori–Paloheinä). Bus 66 uses the same route as bus 66A, but its terminus will be moved from Lauttasaari to Rautatientori.